It’s been a couple of days to be proud of for the Bulls and Pistons who both dispatched LeBron and his champions to give them the perfect springboard to head into the weekend’s action. The pair go head-to-head on Saturday December 7 in a huge game in the Central Division in what will be a tightly contested evening. The teams met just 10 days ago in a game which Detroit capitulated in the second half only basketing 26 points in a game where Small Forward Luol Deng scored 27 alone. It was the 19th time out of 20 the Bulls have defeated the Pistons, a record which the Motor City will want to put right, starting on Saturday. Since the embarrassing final quarters of November 27, Maurice Cheeks’ side have won three out of four and more importantly have learnt to close out games. 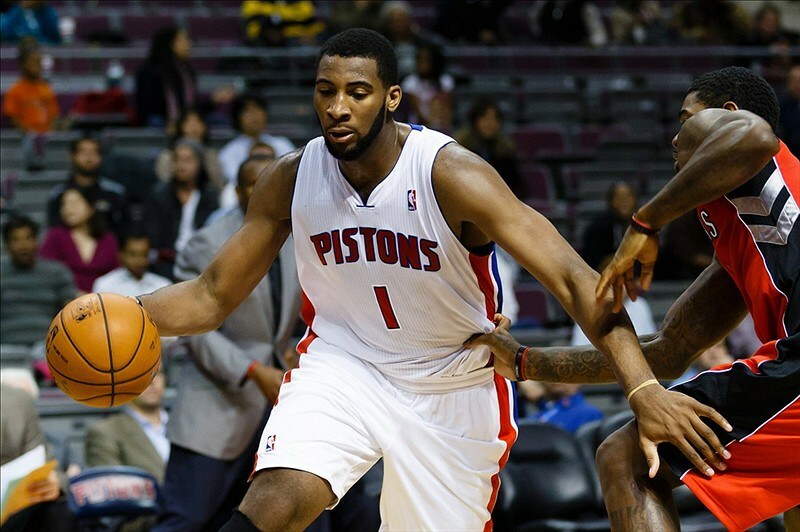 The Michigan side had been tipped highly this year with all the talent they put together in the summer and it looks as though the team are starting to jell and move through the gears, none more so than second-year center, Andre Drummond. Drummond is fast becoming one of the NBA’s hottest properties averaging 13.5 points per game, including an impressive 31 against the Sixers and 24 in Milwaukee on Wednesday. The 20-year-old is also picking up 12.8 rebounds per game, the highest in the Eastern Conference. The Bulls however have been enjoying performances from star men of their own. Carlos Boozer wowed the United Center on Thursday evening with a season-high 27 points whilst Deng has been in the 20s in his previous six games and will no doubt provide the Bulls with their many source of threat. It’s been tough on the Bulls in recent weeks, they’ve been ruing the absence of superstar Derrick Rose, who sat out all last season and is out once again after only 10 games in November and had lost six out of seven before a dominant display against Miami. And arguably a lot has changed since they steamrolled the Pistons last month. On top of Drummond’s widely-praised displays, the rest of the side are improving no ends. Rodney Stuckey is becoming one of the most dangerous sixth men in the league, whilst Brandon Jennings is averaging 8.4 assists per game and has some of the quickest hands in the NBA. It looks to be a turning point for the Pistons, and you don’t beat the Heat if you don’t have talent, and you would expect them to see off Chicago at the weekend. And should they prove their mettle against the Bulls then who knows, they could prove their mettle and follow it up with another win against Miami and become real contenders in the postseason. The Timberwolves have offered fans the chance to high-five two-time defending champions the Miami Heat when they face up to each other on December 7th, and it’s likely they’ll be the only stars slapping hands after tip-off too. The Timberwolves have been in free-fall of late having only won one of their last five with a record that only tops the struggling Sacramento Kings and Utah Jazz in the Western Conference. They’re leaking on average 102 points per game and have only kept the Pacers under the 110 mark since November 22. Taking on the Heat at the Target Center, the Timberwolves will be looking forward to getting back to playing after the midweek debacle in Mexico City when a generator fire led to the Spurs and Wolves going home without even dribbling a ball. And it could be just the break they needed. The defence will have had chance to regroup after a gruelling previous few weeks taking on league giants OKC, Indiana Pacers and the Houston Rockets before welcoming LeBron James to the court. The Heat come into the game in much better form and will be buoyed by the fact the Timberwoves haven’t beaten them since February 2010. With 14 wins on the board the Florida side lie just behind the Pacers at second in the Eastern Conference, but clear favourites to win both the Conference and the Championship in the NBA betting stakes. And why shouldn’t they? James continues to be at his imperious best averaging 25.7 points and 6.1 assists per game, whilst in recent weeks he’s been hitting the 30s regularly. 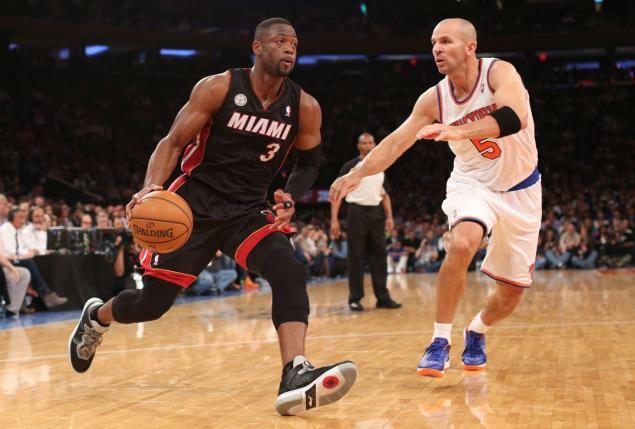 They could however once again be without Dwayne Wade, who had to sit out the Bulls game with flu. Wade has been averaging close to 20 and has been teaming up superbly with King James and was missed on Thursday evening as they slipped to their second straight defeat. It’s the first time they have suffered back-to-back losses all season which comes at a good time for the Wolves as they look to get their season back on track. Three straight defeats for the champions would be unthinkable but in the last few games Kevin Martin has really upped his game scoring mid-to-late-20s in the last three games, which could see the Heat cooled once again. They are likely however to be without their star man, forward Kevin Love who sadly lost his grandmother on Wednesday evening. The 25-year-old didn’t train with the T-Wolves Friday and it’s unknown whether he will return for Saturday evening’s fixture. It will be a major blow for the Minneapolis side who have often been carried by Love and if the crowd are more concerned about high-fiving LeBron than supporting their side, it could be a tough night both physically and mentally for the Western Conference strugglers. To say the Spurs’ week has been a huge inconvenience is an understatement. They’ve been to Mexico and back to take part in the Global Games matchup that never happened and didn’t arrive back home until 12 hours later due to fog in San Antonio. It’s not been plain sailing for Indiana either. Literally. The Pacers plane was rerouted on the way to Salt Lake City which saw them have to catch a bus down to San Antonio from Houston. But whilst the travel may have beaten both sides, not much else has this season. A day’s rest should see the Western and Eastern Conference form teams back to their best as they go head-to-head in what will be one of the most thrilling games of the season so far. Indiana haven’t had much luck at the AT&T Center in recent times and their already ill-fated trip won’t have done them any favours either. 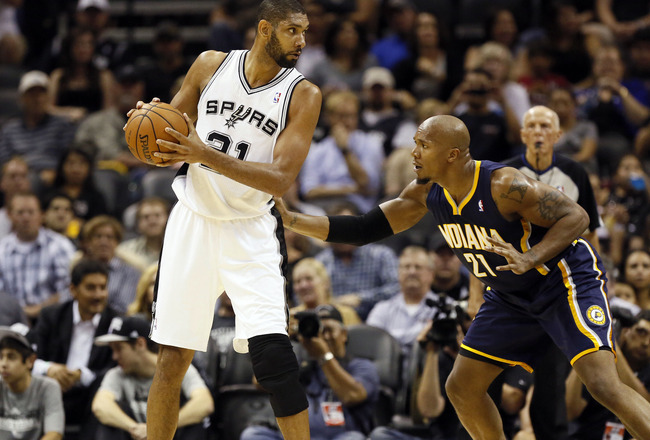 The Spurs have won each of their last 11 meetings when they’ve welcomed the Pacers, and 10 straight both home and away, but with the Indianapolis side 17-2 this season they’ll be confident of overturning a record that dates back to January 2002. Whilst the Spurs left Mexico City on Wednesday night having not even laced up their sneakers, the Pacers left the EnergySolutions Arena with a 95-86 victory over the Jazz taking their record to 8-2 on the road. They will however be a little concerned with the fitness of George Hill. The Point Guard is suffering from a sore left hip so will be monitored by Frank Vogel ahead of the 8.30PM ET tip off. The Pacers will be hoping he pulls through for their biggest game of the season. Alongside fellow George, Paul, the pair have been star men this season and Hill in particular will want to prove himself against the team that drafted him in 2011. It’s certainly an interesting one for those wanting to bet on the NBA. The Spurs have been one of the most consistent sides in the National Basketball Association in recent years, winning their division for the last three seasons. After a disappointing Championship finals last season, it seems to have fuelled them this year and they’re comfortably netting over 100 points per game. A minor hiccup in recent weeks has seen them suffer defeats to some of the leagues form men in Kevin Durant at City Thunder and James Harden’s Rockets but the team remain top of the assists chart with 25 per game and are on the back of an impressive win against the Hawks. The Pacers will be looking to rectify this. They have a great record defending the paint but the Spurs have a strong inside and outside game and one of the best defences in the league, so hold on to your hats, because this one could go either way. This Friday, the UFC will be touching down in Brisbane, Australia for the Fight Night 33 event. The heavyweight fight between Mark Hunt and Antonio “Bigfoot” Silva has snatched the headline spot, with these hard-hitting opponents guaranteeing an entertaining match up. This Friday will be the first time Hunt steps back into the ring after he fell victim to one of Junior dos Santos’ devastating spinning hook kicks back in May at the MGM Grand Garden Arena, Las Vegas. The 39-year-old New Zealander saw his four-fight winning streak quashed and fan enthusiasm dwindle as a result of the defeat. 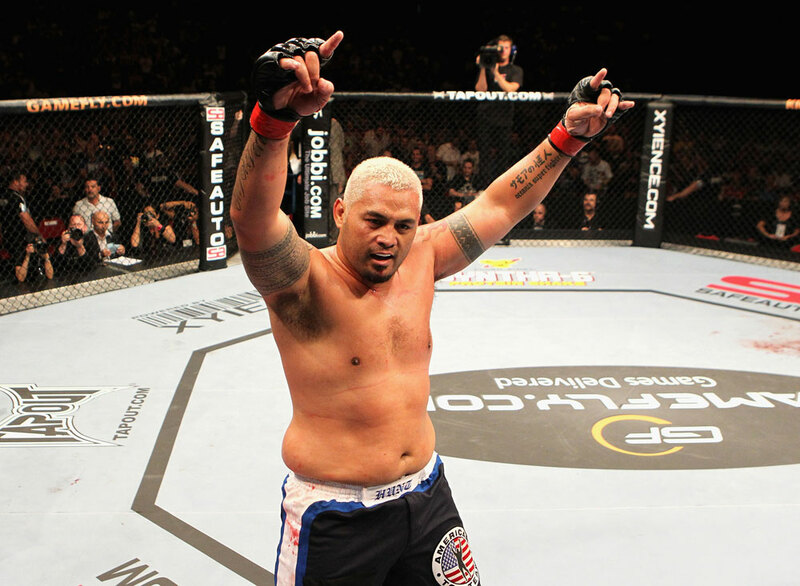 However, Hunt is now back with a vengeance and the 265-pound “Super Samoan” has the MMA experience to prove his worth. The experienced kickboxer has won the K-1 World Grand Prix back in 2001, defeating Jerome Le Banner, Stefan Leko and Francisco Filho in the process. He also lays claim to victories over MMA stars such as Bellator MMA Season 9 heavyweight tournament champion Cheick Kongo, 2006 Pride Open Weight Grand Prix winner Mirko Filipovic and Pride Fighting Championships 205-pound titleholder Wanderlei Silva. The UFC Fight Night 33 main event also marks the return of former EliteXC titleholder Antonio Silva, who has not competed in the UFC since falling prey to the first-round punches of heavyweight champion Cain Velasquez seven months ago at the UFC 160 headliner event. He is a fierce opponent for Hunt, with a black belt in Brazilian jiu-jitsu and heavy strikes that has seen 16 out of his 18 career wins end in either submission, knockout or technical knockout. Also weighing in at 265-pounds, the “Bigfoot” has an impressive selection of victories to his name, including ones over Fedor Emelianenko, former Strikeforce champion Alistair Overeem and Jackson’s Mixed Martial Arts standout Travis Browne. Both men are coming off of brutal KO losses at UFC 160, and both are eager to prove themselves by snatching a win. They are matched up well, with fierce kicking and punching abilities as well as ridiculous knockout power on both sides. The odds are slightly favouring Hunt though, who has superior striking ability against his opponent. However, if the “Bigfoot” is able to avoid a connecting chin hit and get Hunt down on the ground, it could all end in submission.